The Tabadamu 7s team has resumed their training today hoping to repeat their win in the Silverwater Tabadamu 7's from last weekend at the McDonalds Coral Coast 7s. Team Official Malakai Yamaivava stated that after their inaugural tournament over the weekend, people can expect a strong side to take the field against the Lokalevu 7s team in their first match. Yamaivava says they view all teams as a threat coming into the tournament. Tabadamu already has the Marist 7s and Raka 7s titles and are now aiming to win the Coral Coast 7s for the first time. 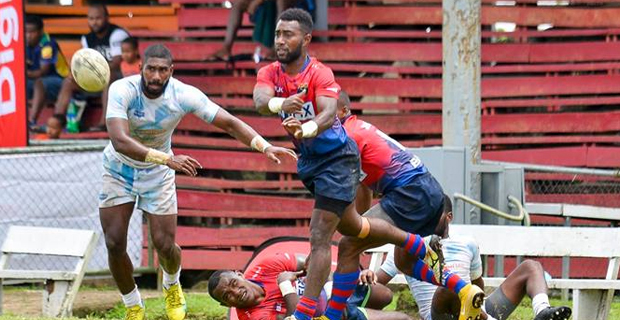 Tabadamu will take on Lokalevu in the first pool match of the Coral Coast 7s at 12.06pm this Friday, they will then take on Sigatoka River Safari Heinibua at 3.15pm and their last pool match will be against Hong Kong at 6.50pm on Friday. You can catch the live commentary of the Coral Coast 7s Cup quarterfinals, semifinals and final on Saturday on Viti FM.